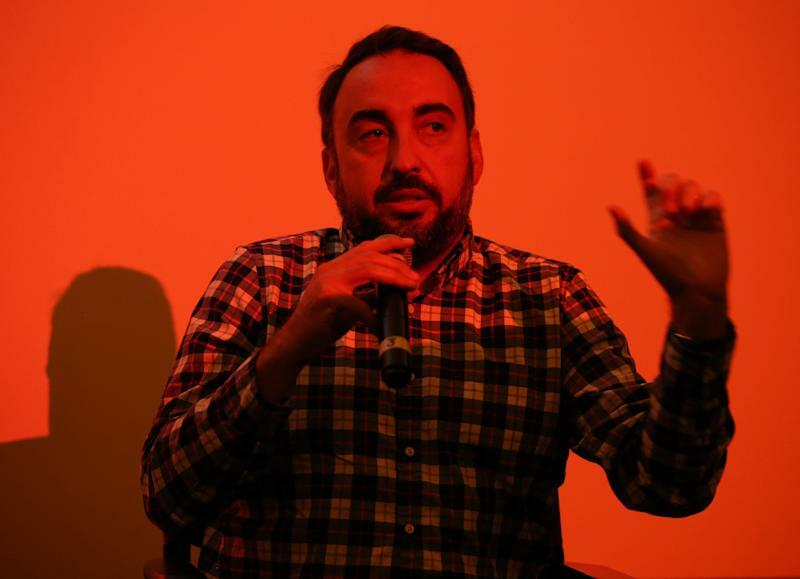 In October 2018, Alex Stamos, whose highest degree is a BS in computer science and electrical engineering, delivered his first academic lecture. It was the Sidney Drell Lecture at Stanford University, named for an august physicist and arms control expert. It’s the event of the year at Stanford’s Center for International Security and Cooperation. Stamos’s four immediate predecessors at that podium were a former director of the National Security Agency, two U.S. Secretaries of Defense—one former, one sitting—and Vint Cerf, the co-inventor of the fundamental architecture of the internet. Then 39, Stamos had just stepped down as Facebook’s chief security officer in August—after having been stripped of most of his authority nine months before that. Though Stamos generally favors jeans, flannel shirts, and Ecco loafers, he looked resplendent that night in a well-tailored, corporate suit, a uniform he’s learned to wear credibly at board committee meetings and Congressional hearings. This is a profile of Stamos—a complex man we will be hearing about, and from, for years to come. Over the past three months, Yahoo Finance has spoken with 19 people who have known him professionally over the course of his career—at Facebook; during his stormy tenure before that as Yahoo’s chief information security officer; and, still earlier, as an outside consultant for the likes of Microsoft, Google, and Tesla. (Some requested anonymity, either because of employer policies, non-disclosure agreements, protective orders, or other considerations.) Over that same period Stamos also sat down for three in-depth interviews—at his cramped Stanford office, at a casual, bus-your-own-plate eatery not too far away, and, lastly, at his airy, colonial-eclectic, $3 million home in the hills of a Silicon Valley community he asked Yahoo Finance not to identify. But cyberwarfare, fake news, and internet-based propaganda continue to pummel and menace our culture. That means that Stamos, with his unique skill sets, honed during an unduplicatable career path, will remain in the headlines, too. Stamos also reveals here, more candidly than ever, why he left Facebook, the mistakes he made there, which criticisms of Facebook miss the mark, and what he thinks are the true threats to democracy posed by social media. As we’ll see, he takes aim, in particular, at the opaque “hypertargeting” of campaign ads. He’s less concerned about what Cambridge Analytica did in the past than about “the 20 Cambridge Analyticas that still exist,” lawfully buying their data from other sources today. “In some situations he lacked political skills, so he wasn’t as effective as he wanted to be and needed to be,” says someone who worked with him at Facebook. Doctorow’s view seemed to be reinforced in November, when The New York Times published a deep-dive investigation of Facebook’s attempts to downplay Russia’s exploitation of its platform for election interference. The lede of the story (“Delay, Deny, and Deflect”) portrays the then-recently-departed Stamos as one of the very few good guys there. Some corporate types, on the other hand, reacted differently to the article. “He’s doing to Sheryl what he did to Marissa,” says one corporate consultant—nearly shouting over the phone in alluding to former Yahoo CEO Marissa Mayer. This consultant had advised Yahoo when it was dealing with the fallout from a 2014 state-sponsored intrusion at that company—one of the largest ever. That hack, which occurred during Stamos’s watch but wasn’t disclosed until September 2016, long after he departed, left the company awash in class-action suits and an assortment of probes led by the Securities and Exchange Commission, Department of Justice, and state attorneys general. Former CEO Mayer testified to Congress in November 2017 that she only learned of the key theft of data—estimated to have impacted 500 million user accounts—nearly two years after it occurred. At Facebook Stamos misplayed the “Game-of-Thrones-y stuff,” he says. 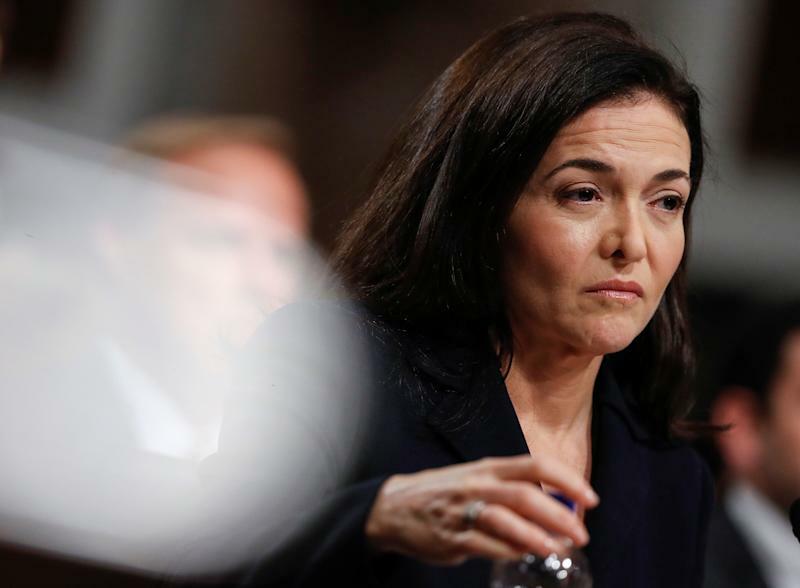 It wasn’t so much that he alienated COO Sandberg or CEO Mark Zuckerberg, he says, but that he offended laterally situated people with his lack of guile and tact. Those people, with many more years at the company, had Zuckerberg’s ear and loyalty, he believes—a view shared by another Facebook employee who was there at the time. Stamos was born in the Sacramento suburb of Fair Oaks in February 1979. He is the son of an orthodontist and a homemaker. His ethnically Greek grandfather, a goatherder’s son, immigrated from eastern Cyprus after World War II with a fifth-grade education, Stamos recounts. He got a job as a lineman with AT&T and, by the 1990s, worked his way up to engineering manager in PacTel’s Sacramento office. Whether in class or in interviews for this article, Stamos speaks quickly, occasionally slipping into burst-fire mode where words become so compacted as to be unintelligible. He speaks of inmationscurty (information security) or yesP devices (USB devices) or the ausraliansigdirectorate (the Australian Signals Directorate—its NSA, basically). At the same time he is apt to forget that a lay listener can’t instantly process all the acronyms and code names that pepper his narratives: PLA, FSB, SVR, GRU, APT1, ECPA (pronounced Ek-pa), Aurora, Lazarus, and on it goes. Like most security people of his generation, Stamos is largely self-taught and peer-taught. The security industry is only about 30 years old, with most people dating its origin to the release of the Morris Worm in 1988. When Stamos was growing up, not only did formal courses not exist, but the technology was evolving so fast that books couldn’t possibly keep up. 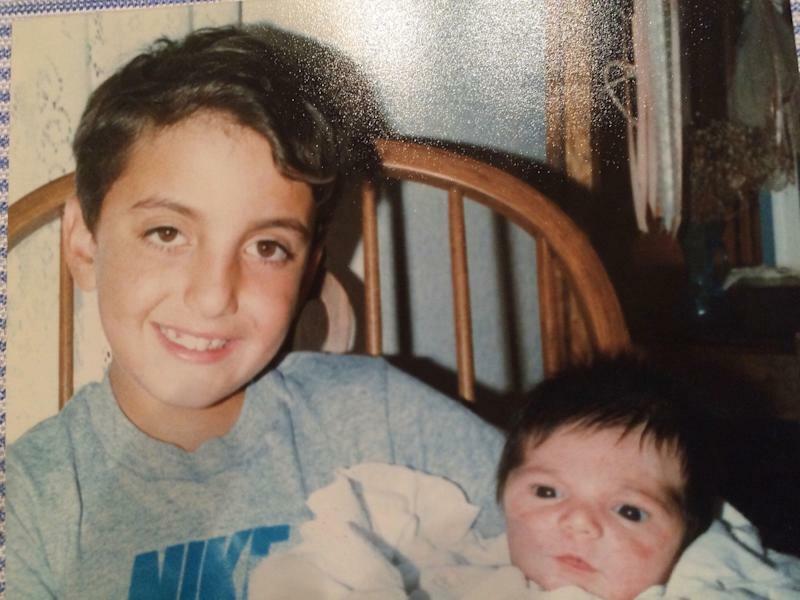 By his senior year of high school, Stamos’s skills were drawing attention. He received an unsolicited letter from the National Security Agency, he recounts. It was offering him a full college scholarship in exchange for a ROTC-like commitment to work for it afterward. In college he finally got some formal computer science training. But peer-training from hacker conferences was crucial. 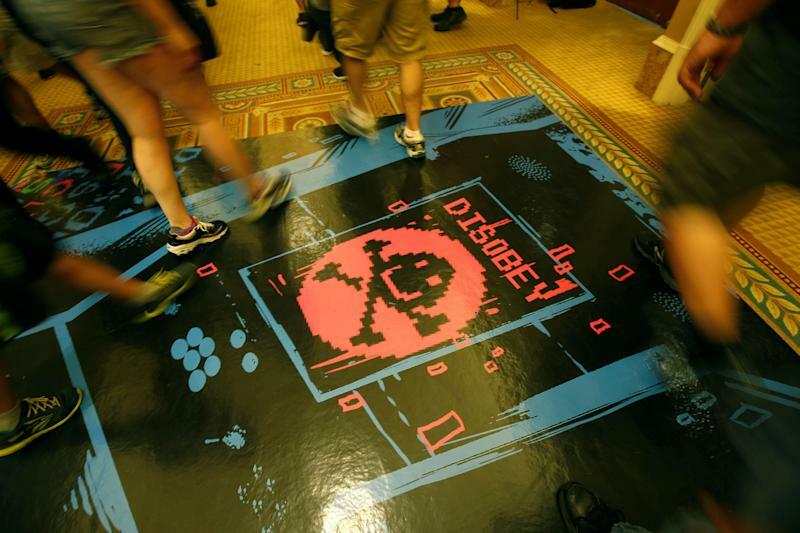 Jeff Moss, a/k/a The Dark Tangent, had launched the first DEF CON conference in 1993, with about 100 people in attendance, Moss estimates. As a gauge of how the community has grown, the most recent one, in 2018, drew 28,000. In the summer of 1997, just before Stamos started college, his father took him to DEF CON 5—Stamos’s first—in Las Vegas. Stamos wasn’t yet old enough to rent a room. Upon graduation in 2001, Stamos got a job doing security at LoudCloud, a pioneering cloud computing company. There Stamos worked with an outside security boutique called @stake, which was one of the two leading such outfits of the era. When LoudCloud split in two in 2002, with Stamos’s half being acquired by Electronic Data Systems, Joel Wallenstrom of @stake recruited Stamos to join. “To be successful at @stake,” Wallenstrom recalls, “you needed to be a Swiss Army knife across all layers of computing. That’s what made Alex so successful. He has full-stack understanding of what is happening, from building on bare metal to using any sort of cloud service to you name it.” Wallenstrom is now CEO of Wickr, a heavily encrypted messaging app. At @stake, Stamos continued his education. In 2004 Symantec, which was then embroiled in a legal dispute with Microsoft, acquired @stake. “Microsoft kicked my team off campus that day,” Stamos recalls, because of potential conflicts. It was a great opportunity. He, Wallenstrom, and three other @stakers split off to found their own boutique, called iSEC, with Microsoft as an anchor client. A second early client was Google, which launched a product it called Gmail that year. Now directly interacting with clients, Stamos had to master the interpersonal challenges of his job. He was constantly a bearer of bad news. Security consultants had to warn clients of major risks they were running unless they invested large sums of money on fixes. In 2009 he got his first exposure to state-sponsored intrusions. Google discovered that it had been subjected to a series of attacks—now known as Operation Aurora—by a team of highly persistent Chinese hackers. (A few years later the security firm Mandiant identified them as having come from two units of the Chinese People’s Liberation Army.) Google, which publicly revealed the attacks in January 2010, also came to realize that the intruders had infiltrated at least 20 other companies, as well. Google’s Adkins referred many of those companies to Stamos for help, she says. In late 2010, iSEC was acquired by the British security firm, NCC Group, but otherwise the group continued operating much as before. 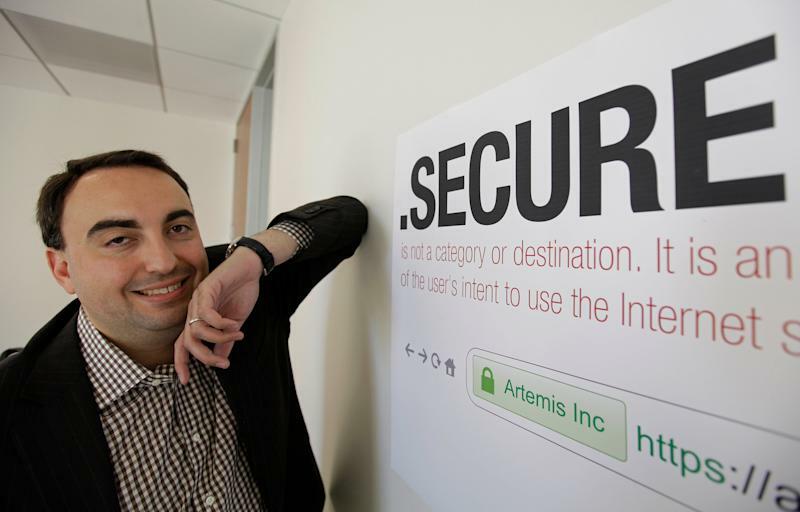 Then, in 2012, Stamos launched an ambitious internal startup within NCC called Artemis Internet. He wanted to create a sort of gated community within the internet with heightened security standards. He hoped to win permission to use “.secure” as a domain name and then require that everyone using it meet demanding security standards. The advantage for participants would be that their customers would be assured that their company was what it claimed to be—not a spoof site, for instance—and that it would protect their data as well as possible. The project fizzled, though. Artemis was outbid for the .secure domain and, worse, there was little commercial enthusiasm for the project. In June 2013, highly classified information from the National Security Agency, leaked by former government contractor Edward Snowden, began to appear in articles in The Guardian, The Washington Post, Der Spiegel, and The New York Times. The revelations roiled the tech world and opened a rift of distrust between Silicon Valley and the U.S. intelligence community. Beyond the civil liberties issues raised by surveillance of U.S. citizens, tech companies were shocked that the NSA had been exploiting vulnerabilities in their infrastructure for years, rather than reporting them promptly, so the companies could fix them. To be sure, his reactions were nuanced. “It’s not like I was just anti-cop,” he says. As a consultant, he had helped gather evidence that was used to prosecute bad actors. On the other hand, he had also been retained as a defense expert in a couple cause celebres in the hacking world, including the hugely controversial federal criminal prosecution of Aaron Swartz, who helped create Reddit. 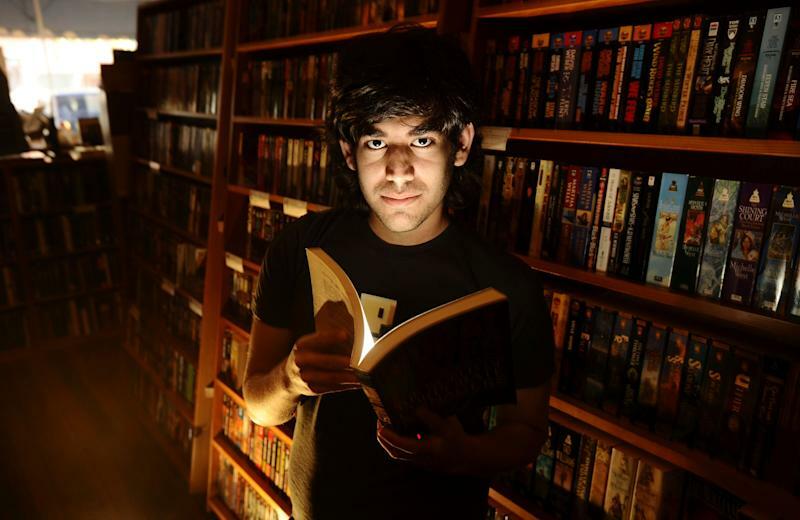 In January 2013, Swartz, who was facing felony charges for having broken into MIT’s servers in an attempt to create a free internet archive of scientific journals, had hanged himself. He was 26. Stamos went to Swartz’s funeral in Chicago. “That was radicalizing,” he recounts. In December 2013, wrestling with these emotions and conflicting impulses, he delivered a talk at DEF CON 21, entitled “The White Hat’s Dilemma.” In it he talked about the Hippocratic Oath that doctors began adhering to more than 2,000 years ago. For each hypothetical he then discussed a series of possible responses. Tellingly, the correct response was never to do as you were told. Three months later, he became the chief information security officer of Yahoo. By early 2014 Stamos was a prominent figure in the security community. He was a frequent speaker at conferences, had a growing Twitter following, and was writing an influential blog called Unhandled Exception (meaning a software flaw that’s not fixed). When Artemis failed to win control of the .secure name, Stamos went looking for a new challenge. He yearned to dirty his hands in the arena. Though Yahoo’s security team had been highly respected in the early-to-mid 2000s—when members were admiringly dubbed The Paranoids—those days were passed. The company had gone through contraction, financial hardship, and turmoil. 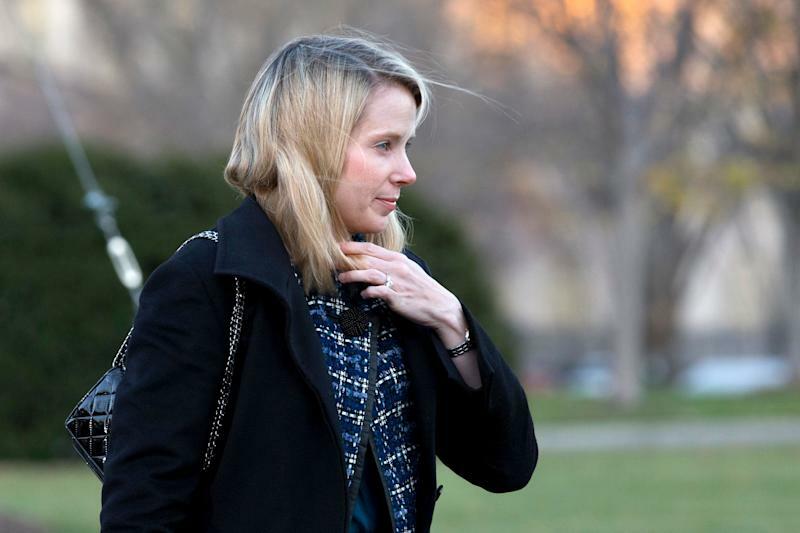 When Marissa Mayer took over in July 2012, she was the company’s fifth CEO in three years. Early in her tenure, in January 2013, she fired Yahoo’s then-CISO and didn’t replace him for 14 months, until Stamos was hired. “Part of my deal was, I would be able to invest in hiring good people,” he continues. And for several months he did. In September 2014, though, activist investor Starboard Value bought into the company. It demanded that Mayer immediately find a way to monetize value for shareholders. Suddenly everything changed, Stamos says. It became hard to hire, there were stealth layoffs, and he couldn’t use his allocated head count. But there was no hard evidence. He says he discussed the matter with general counsel Ron Bell at the time, but because Yahoo invoked attorney-client privilege as to those conversations in later litigation, he declines to relate them. Unable to invest in a state-of-the-art intrusion detection system, Stamos’s team “kind of MacGyvered together” a substitute, he says. Using that they poked around the network to see if any attackers had exploited an industry-wide software bug of the time, called Shellshock. They found something weird. By November at least 26 accounts had been compromised, in addition to CEO Mayer’s and Stamos’s. Yahoo notified the FBI and, in December, the 26 victims, but there was no wider disclosure. The security team gave numerous debriefings during this period to senior Yahoo officials, which no one contests. Meanwhile, Stamos’s team was fighting to get the hackers out. “I feel like the work to investigate and stop the breach was probably some of the best work I’ve done in my career,” he says. “Because we were handed a network that had none of the standard protections that you would expect in a production-level network in 2014. Some of the [internal server] passwords had not been changed in 15 years. There was this thing called the Filo password [after Yahoo co-founder David Filo] that the hackers got, which was a backdoor password to enter every single server. There was no network flow data available. The configuration management was horrible. On Wednesday, December 10, 2014, however, a crucial event occurred that altered the gravity of the event. This is the event that Mayer and some other senior officials have claimed they were not told about until two years later, after Stamos was gone. The Paranoids discovered that in early November the attackers had copied and transferred (“exfiltrated”) to a server outside Yahoo at least a portion of a backup user database (UDB) storing vast quantities of users’ personal information. Stamos, who had been trying to schedule a face-to-face meeting with Mayer about the intrusion for more than a month, finally met with her the following evening, according to contemporaneous email traffic. After the meeting he emailed general counsel Bell—who was out of town—to arrange a call to fill him in and talk about next steps. Bell promised to call him as soon as he reached San Francisco. Stamos says that senior management, including Mayer, “knew everything we knew. We were not hiding anything.” Martinez’s testimony was to the same effect. Yahoo made no public disclosure of the mammoth exfiltration, nor did it require users (other than the 26 known targets) to change passwords. Despite his team’s best efforts, we now know that he did not succeed in chasing the hackers off the Yahoo network. According to a federal indictment unsealed in March 2018—the “attackers” were actually one very skilled individual: Alexsey Belan, then 27. Born in Riga, Latvia, and a Russian citizen, he had already been indicted twice in absentia in the United States for earlier e-commerce intrusions. He had been on the FBI’s “most wanted” list of hackers and the subject of an Interpol Red Notice since 2012. Belan was acting on the orders of two officers of the Russian FSB (Federal Security Service), a successor to the Soviet KGB. At the same time, according to the indictment, the FSB appears to have been allowing Belan to compensate himself for his intelligence work by also pillaging Yahoo’s network for personal gain, through assorted digital mayhem, including credit card theft, spamming schemes, and diverting searches to spoof sites. Using cookies, Belan continued breaking into the accounts of dozens of FSB targets—an investigative reporter for Kommersant Daily, an International Monetary Fund official, a Nevada gaming official—through October 2016, a month after Yahoo disclosed the 2014 intrusion. Often when Belan broke into a Yahoo account he would find information relating to the users’ other online accounts. The FSB hired a second hacker, a Canadian national named Karim Baratov, to use that information to break into the target’s other accounts—mostly gmail. Baratov was arrested in Canada in March 2018, extradited to the U.S., and is now serving a five-year prison term. Belan is still at large. Yahoo disclosed the 2014 breach in September 2016 and the 2013 breach in December 2016. (The company had been tipped off by law enforcement, after data from hundreds of millions of accounts was offered for sale on the Darknet.) The SEC fined Yahoo $35 million in April 2018 for not disclosing the 2014 breach earlier, and Yahoo is still in negotiations to settle the last of the resulting class actions, which have already cost it more than $80 million. Yahoo’s then-general counsel, Bell, resigned in March 2017 with no severance, losing millions. The board denied then-CEO Mayer a cash bonus, worth up to $2 million, and she voluntarily agreed to forego a 2017 equity award, reportedly worth $12 million. Mayer and Bell did not return multiple emails, and an attorney for Bell declined comment. 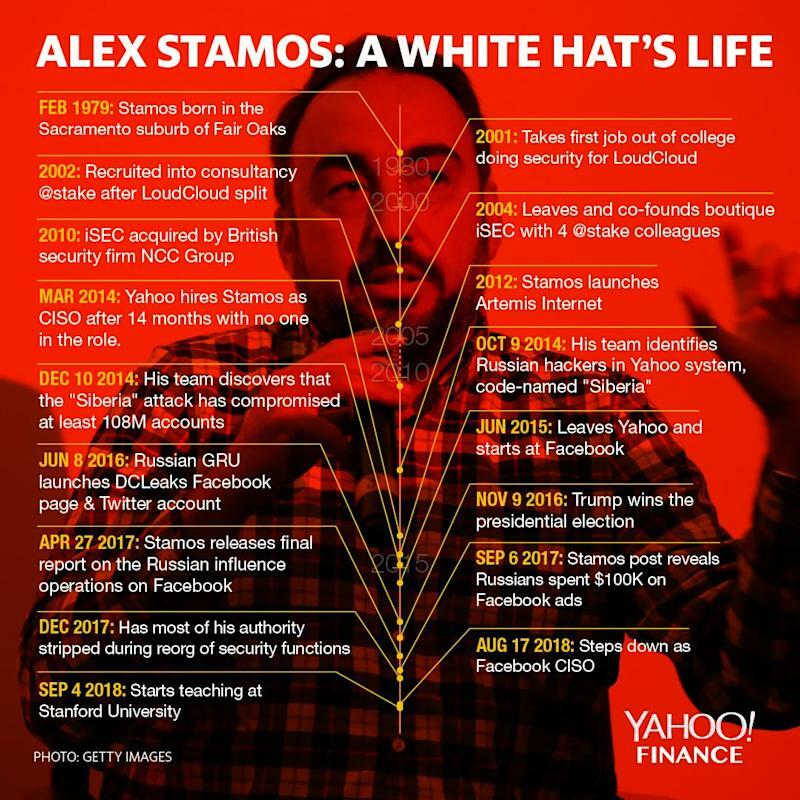 In early 2015, less than a year into his stint, Stamos was becoming frustrated at Yahoo. He had still not been able to get an intrusion detection system. At about that time, Stamos says, Facebook’s chief security officer, Joe Sullivan, asked him to lunch. Sullivan knew him from when he did consulting work for Facebook while still at iSEC. Sullivan told him he was leaving to take another job, and suggested he apply for his Facebook position. Stamos did have some exploratory discussions, he says, but he wasn’t yet ready to jump. He discovered, however, that the device had been placed there by engineers in the mail unit who were apparently complying with a court surveillance order. The device was searching for a particular character string in emails, according to a later Reuters account. Stamos was furious this had been done behind his back. He asserts that the engineers did it in a way that “created a security vulnerability.” He suspects he was kept out of the loop because managers feared he would urge them to fight the surveillance order. On the other hand, one person familiar with the situation provides Yahoo’s perspective. Yahoo was always diligent about protecting its users’ privacy, this person maintains. In this particular instance, however, not only did legal requirements seem to be met, but the company was led to believe that the request was uniquely urgent and important. Complying was straightforward, and was handled by the team that always handled such issues, the person asserts. In any case, Stamos gave 30 days notice. He left Yahoo in June and started at Facebook the same month. Notwithstanding Stamos’s fury at Yahoo, the breadth of his experience grew greatly while there. The White House National Security Council and its Office of Science and Technology periodically consulted with him on infrastructure and encryption issues, according to people who served on those bodies. He worked with law enforcement to combat abuses of the technology that were not narrowly cyber at all: child sexual abuse rings, fraud, kidnappings. Lay people began to hear about him. 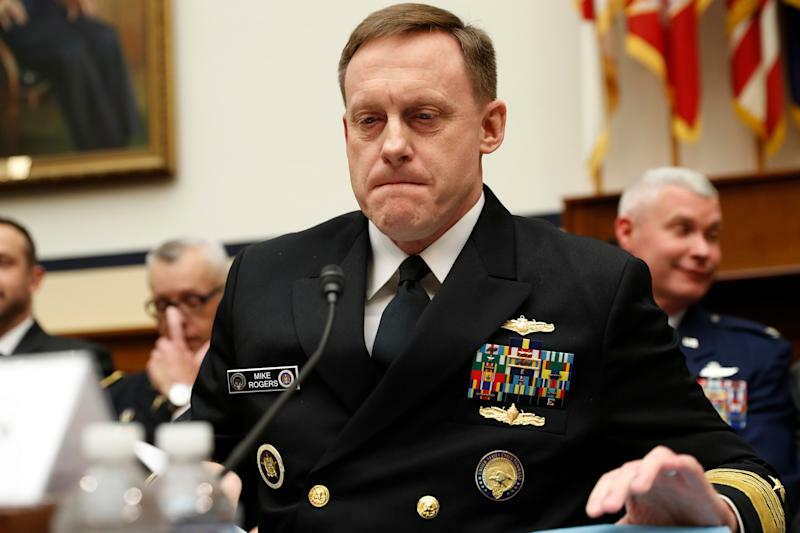 In February 2015, he had a live-streamed confrontation with the then-NSA Director, Adm. Michael Rogers, at a security conference in Washington, DC. Rogers was calling for tech companies to build backdoors into encrypted products to permit U.S. law enforcement and intelligence agencies to penetrate communications between consumers. “So it sounds like you agree with [then-FBI] Director [James] Comey that we should be building defects into the encryption in our products so that the U.S. government can decrypt—,” Stamos began. “So that would be your characterization, not mine,” Rogers responded. The tense back-and-forth, which lasted several minutes, was not just cheered on by the tech press—“Yahoo exec goes mano a mano with NSA director”—but drew coverage in the Washington Post, the BBC, and CNBC. Upon moving to Facebook, his portfolio and visibility would each expand by another factor of 10. “It was perhaps the most important company on the planet,” Stamos says. He felt the increased scrutiny immediately. Within two weeks of arriving, he flew into a rage one Sunday morning when his team told him that a flaw in Adobe’s Flash software—widely used on Facebook for social games—was being exploited by malicious actors in China to threaten students in Hong Kong. Characteristically, he dashed off an angry tweet: “It’s time for Adobe to announce the end-of-life date for Flash.” But this time his fit of pique generated headlines in tech publications: Facebook’s CSO wanted to kill a leading software product. Then came the 2016 presidential election. It placed Stamos in a spotlight the likes of which no other infosec guy had ever found himself before. Candidate Donald Trump was not just a master of social media, but someone many saw as its demonic embodiment. Social media metrics craved and rewarded exactly what Trump dished out. Its algorithms sought engagement above all, which happened to be driven by sensation, outrage, provocation, hate, anger, and lies. When he was elected president of the United States by a razor thin margin, the vanquished wondered: Was it coincidence that just as social media was coming of age, this politically inexperienced reality TV star had pulled off the electoral upset of the century? Facebook came under wave after wave of scrutiny, as people blamed it for Trump’s victory. Its algorithms had caused filter bubbles, they theorized. Its failure to protect user data privacy had allowed Republican Super PACs, through Cambridge Analytica, to hypertarget key voters with misleading campaign ads. Its negligence had allowed Russian intelligence agents and internet trolls to run riot across its platform. For Stamos, the world began changing in spring 2016, when a Russia specialist working under him raised a warning. As first reported by The New York Times, he told Stamos that people he believed were Russian government agents were looking at the Facebook accounts of officials involved in the U.S. presidential campaign. They weren’t doing anything illegal, or even violating Facebook’s terms of service (TOS) at the time, but it might have been the type of reconnaissance that could precede a cyber attack. Facebook notified the FBI, but did not close the accounts. We now know that in March 2016, two units of the GRU, the Russian military’s Main Intelligence Directorate, launched a spear-phishing campaign aimed at volunteers and employees of the Democratic National Committee, the Democratic Congressional Campaign Committee, and the Hillary Clinton campaign. They were, according to an indictment obtained by Special Counsel Robert Mueller III in July 2018, tricking people into surrendering their password credentials, which could then be used to pry inside their employers’ networks. On March 21, GRU officers stole 50,000 emails from the account of Clinton campaign chairman John Podesta. In April they penetrated the DNC network, eventually gaining control of 33 of its servers. In late May they stole thousands of DNC emails. On June 8, purporting to be “American hacktivists,” they launched the website DCLeaks.com. That same day they also set up a DCLeaks Facebook page (and opened an @dcleaks Twitter account). Soon, the GRU began leaking some of the stolen emails from the DCLeaks.com site. The intelligence officers used the affiliated Facebook page, registered in the phony name of Alice Donovan, to send readers to the leak site. They also set up other fake accounts, using names like Jason Scott and Richard Gingrey, to do the same. By August another security boutique had specifically identified DCLeaks as a Russian front. But Facebook still didn’t close the account immediately, because it wasn’t violating Facebook’s TOS of the time. What he means is this. After the CrowdStrike report, the GRU created a persona, dubbed Guccifer 2.0, to contest its conclusion. Claiming to be a lone hacker from Romania, the Guccifer 2.0 persona then reached out to reporters (and to recently indicted Trump campaign adviser Roger Stone) to tell them where to look for damning emails—like those, for instance, suggesting that top Democratic campaign officials had played dirty to undermine Bernie Sanders’s primary bid. Wikileaks soon contacted Guccifer 2.0, offering the use of its more renowned conduit for leaking the contraband. We also now know that there were still other Russians exploiting Facebook during the run-up to the election. As early as April 2014—when Stamos was still at Yahoo—the Internet Research Agency, a Kremlin-supported troll farm based in St. Petersburg, began preparing to interfere in the 2016 elections, according to yet another Mueller indictment unveiled in February 2018. If U.S. government authorities knew anything about this influence operation at the time, they weren’t sharing it with social media companies. And such campaigns weren’t on anyone’s radar at Facebook. “My responsibility was either governments hacking Facebook or using Facebook to hack others,” says Stamos. Zuckerberg then ordered the products team to conduct a quantitative evaluation of fake accounts and “fake news” on the site—a nebulous term at the time. By January, this effort, known as Project P (for propaganda), had found that the vast majority of fake news was actually financially motivated. Facebook took steps to stanch this activity—disabling inauthentic accounts. While Project P was occurring, and in parallel with it, Stamos was becoming aware of Russian (and possibly Iranian) influence operations—coordinated political activity by inauthentic accounts—on the site. Stamos decided to have his team write a white-paper about the influence operations on Facebook. Facebook’s legal team, policy team, and communications team—all risk-averse—had to sign off. “We had like 80 or 90 drafts,” says Stamos. The main thing that was taken out were examples of such posts, which the legal team feared would violate various privacy laws or decrees. Weirdly, he says, the Russians—even though they were lying about their identities—were considered customers of Facebook Ireland, and covered by strong privacy laws. Notoriously, Stamos’s final report, which came out April 27, 2017, never used the word “Russia.” Instead, it said its data did “not contradict” the DNI report, to which it linked in a footnote. There were still shoes to drop. 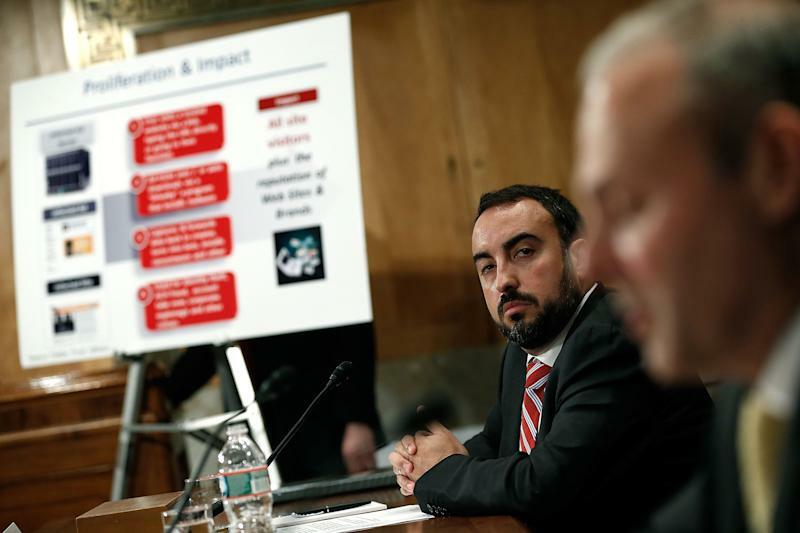 Congress was asking Facebook for information on the Russians’ use of ads. The company performed another massive quantitative analysis. Stamos then authored a post summarizing its findings, which emerged on September 6, 2017. This one revealed that Russians, acting through 470 “inauthentic accounts,” had spent $100,000 on about 3,000 political ads between June 2015 and May 2017. The most disturbing statistic was yet to come. General counsel Colin Stretch revealed it in testimony before a Senate committee on October 31, 2017. The company estimated that about 126 million people—about 40% of the U.S. population—had been shown at least one piece of IRA-generated content between January 2015 and August 2017. At the same time, though, Stretch said that the total number of stories Americans were exposed to in their newsfeeds during that period was about 33 trillion. So the Russian content accounted for about “four-thousandths of one percent,” he testified. If so, was Zuckerberg’s notorious, now retracted, statement—that the notion that fake news could have swung the election was a “pretty crazy idea”—actually right? The more important issue, he believes—and this is characteristic of Stamos’s views on a host of Facebook controversies—is one that neither the press nor Congress is adequately focusing on. 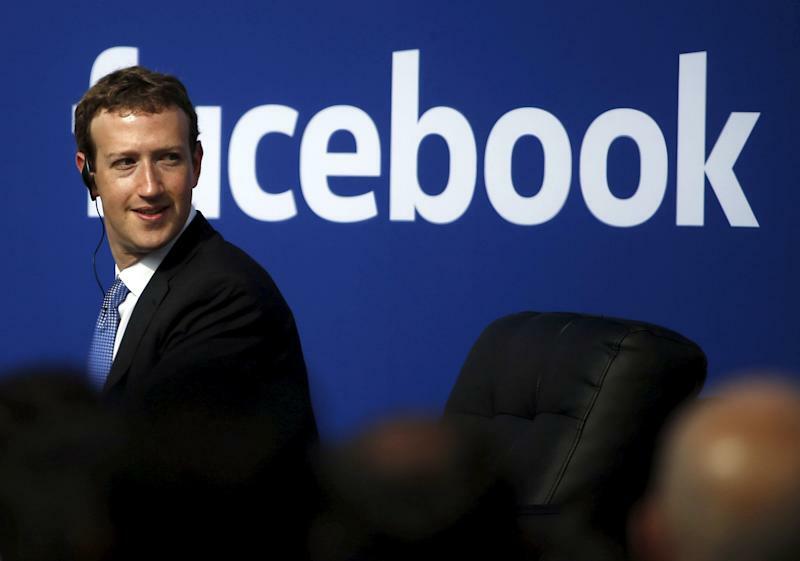 But due to various privacy laws, he says, Facebook can’t currently make that data available. Congress should demand it, he proposes, via subpoena or legislation. 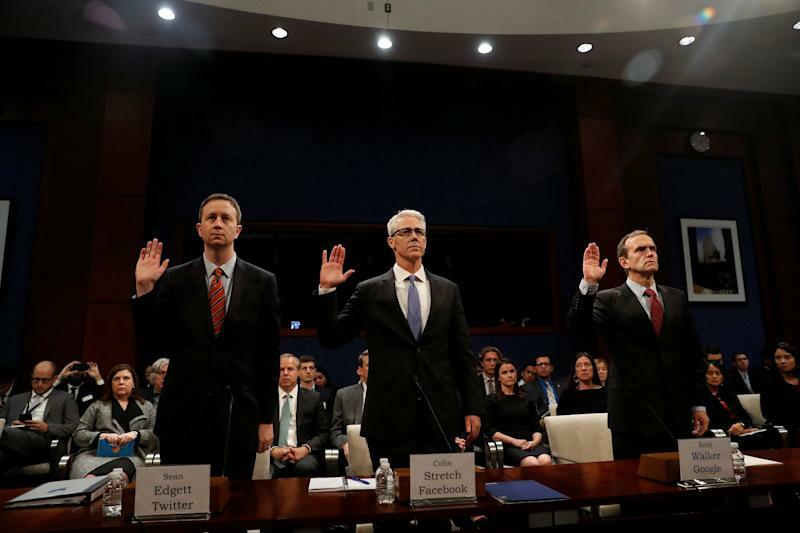 About three weeks after Stretch testified before Congress, Stamos decided to address a long-festering issue he had relating to lines of reporting at Facebook. In some respects, it was an issue that’s bothered him his whole career. At a more micro-level, Facebook had some organizational issues specific to it. When Stamos arrived, there were two silos of security—one in the engineering department, which ultimately answered to Zuckerberg, and a separate one, which he was hired to run, which answered to general counsel Stretch, who answered to Sandberg. Stamos wanted to merge the two groups, and have them answer to a vice president of product—closer to the decision-making process—who would then answer to Zuckerberg, he says. He submitted a proposal around Thanksgiving. He imagined that he might be kicking off a six-month, back-and-forth process, with multiple meetings that Stamos would be participating in. Instead, the decision came back about two weeks later, fait accompli. A variant of his proposal had been accepted, but without him in the picture. He could keep his CSO title (and comp package) and continue to do public policy work, or he could do security for Oculus’s augmented reality/virtual reality project, or some other alternatives. Stamos suspects the putsch was payback for having alienated people shortly after he arrived at the company, he says. Back then he’d done a blunt assessment of the company’s then-security needs—what was good, what was bad—and had stepped on toes. After the reorg, Stamos helped with the transition and worked on security for the upcoming midterm elections while he looked for a new position. At Stanford, he is certainly working on big picture issues. His vision for his Stanford Internet Observatory is so ambitious that it might well prove unworkable. “Our goal is to perform a multi-year study across multiple platforms and types of communication networks, to really understand how these attacks on democracy can be stopped,” he says. The hurdle is: How will academic researchers ever gain access to the mammoth databases of sensitive, private, social media data in our post-Cambridge Analytica world? Remember, that scandal occurred because an academic allegedly misused data he got from Facebook for research purposes. Last July, a nonprofit called Social Science One was set up to provide “privacy protected access” to data that Facebook committed to making available last April. SSO’s long-term vision is to persuade Google, Twitter, and other social media companies to offer access to their data, too. SSO is funded by seven big nonprofits, works in conjunction with the Social Science Research Council, and is under the supervision of two professors, Harvard’s Gary King and Stanford’s Persily. Stamos says he doesn’t want another job like that one. But several years down the road, he admits, he might consider an “impactful” job in government. The gravitational pull of the arena—where the white hats perpetually face off against the black hats—is palpable. Correction: This article originally stated that SSO was supervised by two Stanford professors. In fact, it’s supervised by a Harvard professor and a Stanford professor. The error has been corrected. Roger Parloff is a former editor-at-large at Fortune Magazine, and has been published in Yahoo Finance, Yahoo News, The New York Times, ProPublica, New York Magazine, and NewYorker.com, among others.